For a fantastic short break, family holiday or family celebration we are ideally located in Caverswall, Staffordshire. Caverswall village is a quiet village, served by a thriving and caring community and dominated by the village square, which really comes to life at Halloween. The village has a couple of resident Peacocks often seen and heard in the village, and sometimes visiting Dove Farm Barns. Alongside the square is the village pub, the Red House, also there are two small village schools and two beautiful churches, St. Peter’s is a 12th Century Church (Grade ll*) and St Filumena’s Catholic Church was opened in 1813. The village of Blythe Bridge is only 1.5 miles away from Caverswall and has more extensive amenities including a railway station, pubs, restaurants, takeaways, a post office, pharmacy and supermarkets, including a Tesco Express or a little further toward Stoke on Trent, a Tesco Superstore at Meir Park. 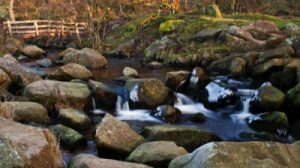 Locally in Caverswall there are also a few more attractions which are within walking distance; Foxfield Steam Railway and Heath House Farm. The barns are perfectly placed to explore an area packed with world class attractions and things to do. 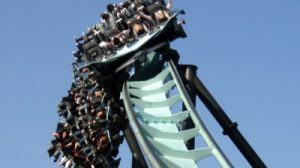 Load up on thrills with two theme parks nearby, Alton Towers Resort and Drayton Manor. 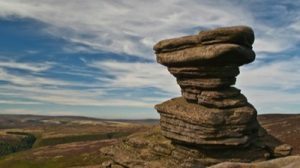 Get into fantastic outdoor adventure in the stunning countryside of crags, limestone dales and forest tracks. 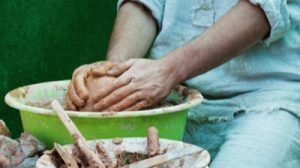 Admire famous ceramics and visit the amazing pottery factory shops in the ‘world capital of ceramics’, Stoke-on-Trent. 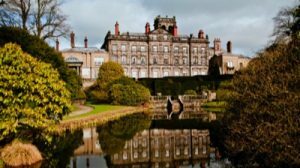 Explore captivating haunted castles and atmospheric museums or visit some of Britain’s most magnificent stately homes and blooming great gardens. 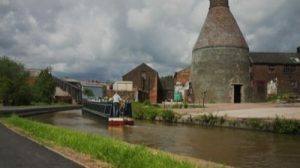 Relax with a picnic beside miles of peaceful canals, then find your way to the magnificent medieval Lichfield Cathedral and the incredible Anglo-Saxon gold, the Staffordshire Hoard. 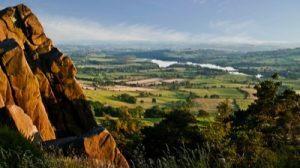 Now add the fascinating towns and villages, bustling street markets, and the UK’s only Monkey Forest at The Trentham Estate to the list of places to visit in Staffordshire, and you’re guaranteed a fantastic time. At the end of a fun filled day, and you don’t want to cook, there is a pub and restaurant 200 yards from the barns. 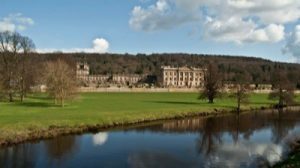 We are also on the edge of one of the UK’s national treasures the Peak District; perfect walks, historical towns, and plenty to see and do. Located in Caverswall, Staffordshire Dove Farm Barn is a luxury barn conversion providing executive holiday accommodation for families, couples, business guests and more.